Carolyn Ives Gilman's novella The Ice Owl, originally published in the November/December issue of the magazine Fantasy & Science Fiction, was nominated for (but didn’t win) both the Nebula and Hugo Awards in 2012. 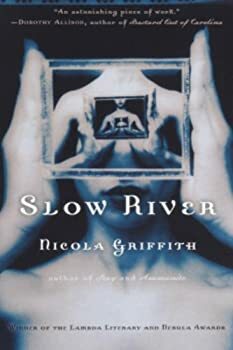 The Ice Owl is set in the same universe as Gilman's earlier novella Arkfall (2008). These stories can be read independently. 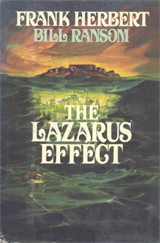 The Lazarus Effect (1983) is part of the PANDORA SEQUENCE that Frank Herbert wrote with Bill Ransom. The series has its origin in Herbert's 1966 novel Destination: Void, of which he published a revised edition in 1978, prior to the release of The Jesus Incident (1979), his first collaboration with Ransom. The Jesus Incident was rough around the edges, mostly because a copyright issue came up that required lots of last-minute rewriting. The Lazarus Effect was written in a less frantic fashion but, interesting enough, The Jesus Incident turned out better. Luck of the Wheels (1989) is the final part in Megan Lindholm/Robin Hobb’s Ki and Vandien quartet. 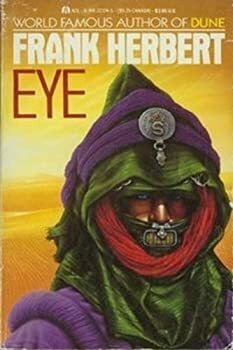 I guess you could say this book is the odd one out in the series, having been published several years after the first three, which appeared in quick succession in 1983 and 1984. Lindholm had written a number of other books in the meantime, the incomparable Wizard of the Pigeons among them. These additional years of experience show in Luck of the Wheels. It is the best paced book in the series. The Windsingers is the second book in a series of four featuring Ki and Vandien. It was first published in 1984. 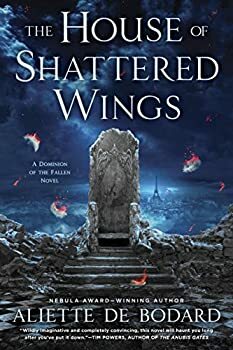 The first novel, Harpy’s Flight, which was also Lindholm's debut, showed some serious flaws in pacing and structure but I still thought it was an interesting book. In The Windsingers, Lindholm clearly improves in those areas but she loses some of the dynamic between Ki and Vandien. 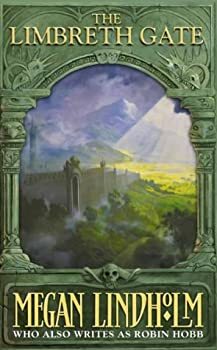 In the end I did think the first novel, Harpy's Flight, was a more entertaining read, even if The Windsingers was better written. Harpy's Flight (1983) is Megan Lindholm's first novel and the first of a series of four starring the characters Ki and Vandien. I understand that at one time, Lindholm had plans to write more but that never happened. Given the success of Lindholm's writing under the pen name Robin Hobb, I very much doubt it ever will. 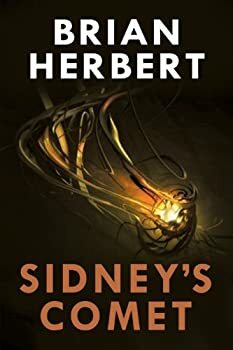 Lindholm’s novels are very different in style and tone from Hobb’s novels. I love both the epic fantasy of Hobb and the more diverse output of Lindholm, but that is certainly not true for all readers. As always with books published by Subterranean Press, Journeys (2010) by Ian R. MacLeod looks stunning. I love the cover art by Edward Miller. The collection contains nine stories, ranging from a few pages to novella length, all of them first published between 2006 and 2010. Personally I feel the longer pieces work better. Pushing Ice (2005) is a standalone novel. It is not set in Alastair Reynolds’ REVELATION SPACE universe and as far as I can tell it is not related to any of his other works either. On his website, Reynolds mentions that there may one day be a sequel though. Pushing Ice is space opera on an intimidating scale but, unfortunately, I don't think it gets close to the best the REVELATION SPACE universe has to offer. 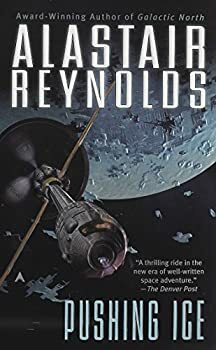 Century Rain (2004) is the first novel Alastair Reynolds published outside of his REVELATION SPACE setting. It combines elements of noir, hard science fiction and time travel with a dash of romance. Reynolds also experimented with noir elements in Chasm City and The Prefect (which I think is one of his best novels). The melding of noir and science fiction doesn’t work as well in Century Rain; this book is not one of Reynold's stronger novels. Dan Simmons has impressed with the variety of themes and settings he takes on in his novels. He has written science fiction, horror, historical novels, crime and literary fiction. The man's a very versatile writer. Black Hills, like his previous two novels The Terror and Drood, could be considered historical fiction with a clear supernatural theme. The Memory of Whiteness is Kim Stanley Robinson's third novel, after The Wild Shore and Icehenge. It's a very unusual book, standing out in Robinson's oeuvre. Much of his work deals with science and many of his characters are scientists. In this novel science plays a large role as well, but this time it is not so much the process and the ways it can change the world but rather the world view that is influenced by a scientific theory. Icehenge is Kim Stanley Robinson's second published novel. It was published the same year as his first novel The Wild Shore, the first part in his THREE CALIFORNIAS triptych. The subject of Icehenge is very different from The Wild Shore. It would be selling the book short to say it is a first step towards his popular MARS trilogy because Icehenge is a very good novel in its own right, but fans of the MARS books will find many themes in this book have returned in the trilogy.